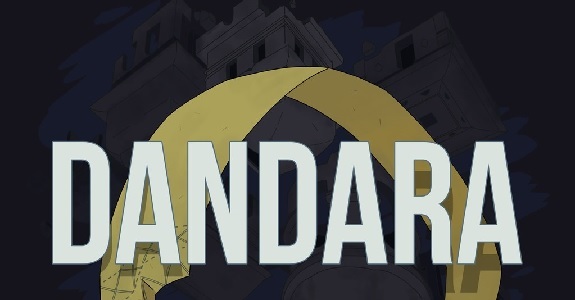 On this page, you will find all there is to know about the various Software updates for Dandara on Nintendo Switch (originally released on February 6th 2018 in Europe, North America, and Japan). How to download updates for Dandara for the Nintendo Switch? High damage attacks on Dandara now screen shake. [Nintendo Switch] You can now record videos with the share button. Added an “Align with Camera” button! Now the map can be rotated in the map screen so the camera’s north is also the map’s north. So no back and forth between doors to see where you are going anymore. More details added on the map, in hope that would diminish useless backtracking. Added smarter helpers to jump aim: the game will “know” that you want to go to another platform a little bit better now, even after you’re already locked to another platform. You can now turn off Vibration. Now the path to discover the Breach in The Wall was blocked off by only being accessible with the Remembrance Stone. Wall Siblings have way more personality through sound! Scythe Soldier and Golden Sorcerer now dodge after being hit. No more beating them with a succession of Jonny B. Missiles! Scythe Soldier and Golden Sorcerers have improved AI that make them avoid walls and each other. Sound in the Triangle Soldier improved! Dreamworld’s Fake Village path has better enemy placement and progression design. Dreamworld’s Hidden Treasure has different Level Design to make it less nauseating and the battles more spaced. Improved the Golden Fortress design and enemy placement. More information to the player as she can plan better while invading the Fortress. Triangle shots from Angular Soldiers now deal 2 damage (was 3 damage). Lotus Projectiles now deal 1 damage (was 2 damage). Skull Trap Projectiles now deal 2 damage (was 3 damage). Eldar shots got buffed (1 damage to 2 damage). Salt ghosts now recover all your health on contact, instead of half, including your own. Special Weapons are no longer “super effective” on Bull Soldiers. Desert of Remembrance’ s Army room can no longer soft lock players. Changed various salt patches and enemy placement throughout the game! Basher enemy animation bug fixed! Damage bugs that made repeated contacts weird fixed! Dreamworlds platform without any mass fixed! ‘No Distractions achievement’ could be done with a different value. [Nintendo Switch] The game no longer counts time in sleep mode. Dandara’s Salt Spirits no longer get stuck in geometry. Fixed bug where you can get soft locked after getting killed by Eldar no longer happens. Fixed bug where you could kill the first form of Eldar if you shot a Skull Shaft that pointed in the same direction as his movement. Last boss’ corners are no longer weak points. ← PokéNews (Oct. 5): Pokémon GO / Pokémon: Let’s Go, Pikachu! / Let’ Go, Eevee!